Home » Blog » Destinations International » Yes you Cannes!! Think you can’t go to the French Riviera with the kids? Yes you Cannes! The glamorous seaside village on the French Riviera, with its yacht-filled harbor, chic hotels and of course, the internationally renowned film festival, Cannes is usually thought of more as a playground for the rich and famous than for kids. While that may be true, there are also plenty of family-friendly activities in and around Cannes. Old Town – Meander through the narrow streets of Old Town, stopping for a bite to eat in one of its many restaurants and cafes. Climb to the top of the hill to visit the Musee de la Castre (Castle Museum) and to enjoy a spectacular view of Cannes. Beaches – You can’t go to the French Riviera without going to the beach. Many of the beaches are private and require a fee in exchange for a beach chaise, table service and the opportunity to see and be seen. Public beaches are also available but be warned, they can be very crowded during the high season. Palais des Festivals – Ready for your close-up? No trip to Cannes is complete with a photo in front of the legendary Palais des Festivals. 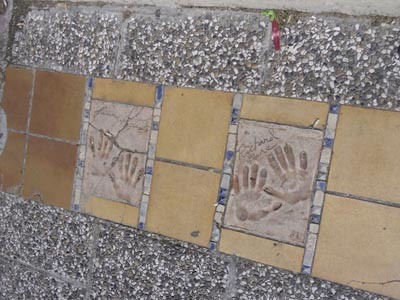 Then take a walk the “Allee des Stars” and find the bronzed handprints of your favorite stars. Lerins Islands – Continue with the movie theme by going to Sainte-Marguerite, where you’ll find the fort where the Man in the Iron Mask was imprisoned. The island is also home to a large forest of eucalyptus, pine and oak trees. Follow the botanical trial marked by the National Forest Authority and explore the forest’s 170 hectares. The other island, Saint-Honorat, is separated from Sainte-Marguerite by a half mile of ocean. Lerins Abbey is located here and its community of monks cultivate lavender and vineyards and produce the famous Lerina liqueur. Several chapels can also be found on the island, including an ancient monastery dating from the 11th century.